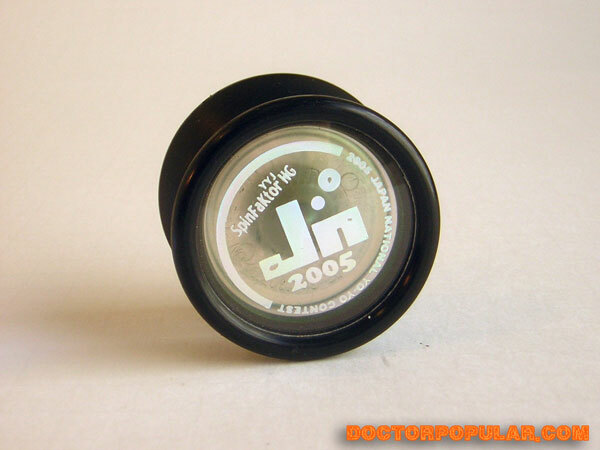 This yo-yo was given to me by Al (Jun Aramaki) at the 2005 California State Yo-Yo Contest. 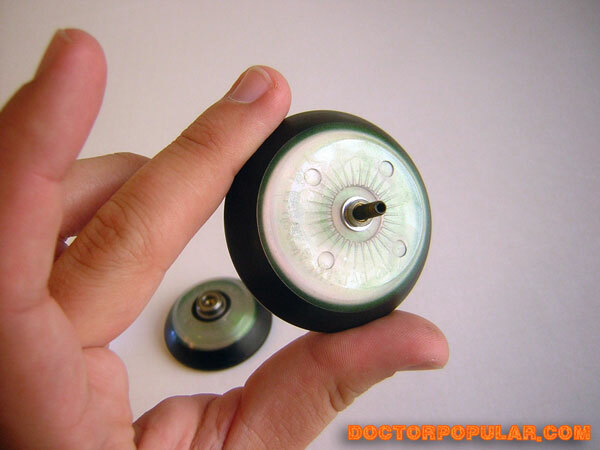 This YoYoJam Spinfaktor HG, is made of enyo plastic and was made exclusively for the Japan National Yo-Yo Contest. 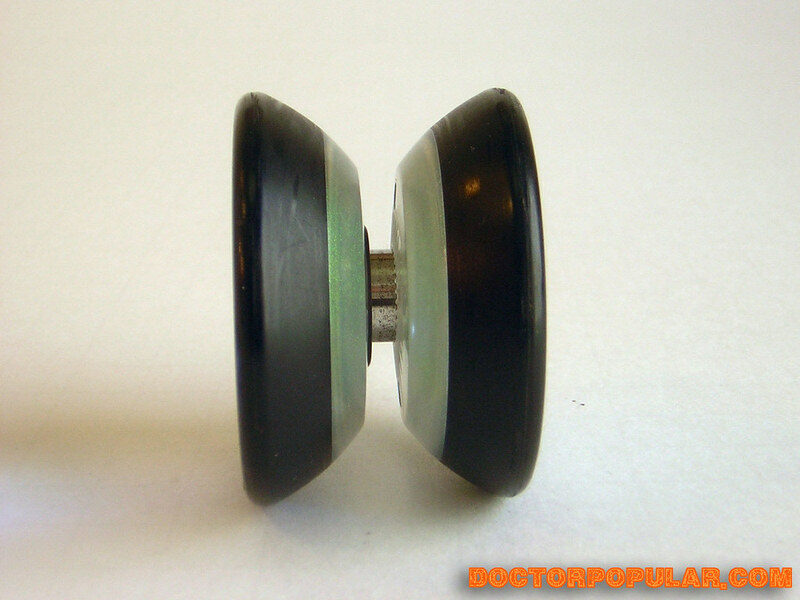 It’s a hybrid yo-yo (starbursts and an o-ring), but with some shims and a cleaned bearing it plays as well as it looks. During California States, Al did one of his awesome triple a freestyles which we unfortunately had to end early due to explicit language. He was using some Beastie Boys song that I had not previously heard… and had more cussing than any other Beastie Boys song I had ever heard. As a matter of fact, sometimes the music would even cut out write at when the swearing would get heavy. The funny thing was that Al had no idea… unless he was just trying to see how much he could get away with by pretending he didn’t speak enough English to know that the song was inappropriate. For the rest of his stay we referred to him as Jun “F Word” Aramaki. This is Ronnie of once Yo-Ronco Toys back in 1998-99. 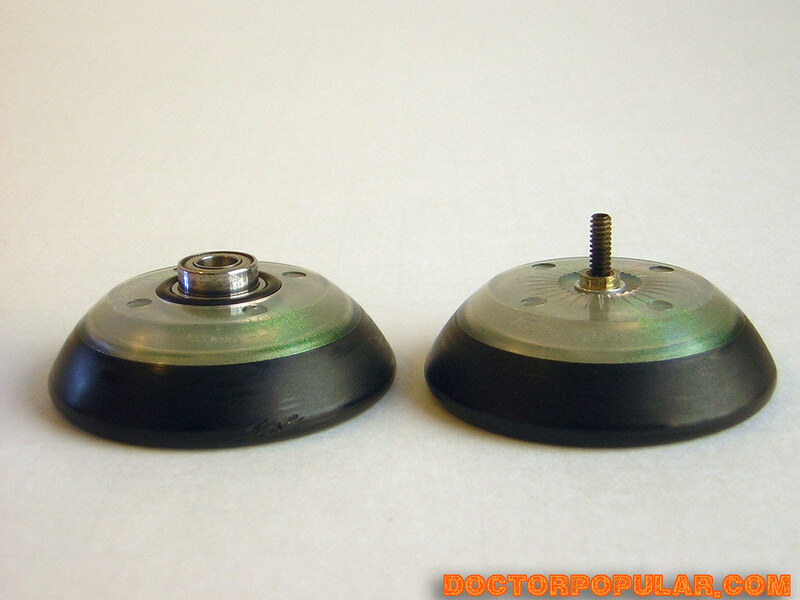 I was wondering if you would like to sell your Enyo Spinfaktor HG? I'm interested. Or if you know someone selling them. I don't have any Enyos left, but it's good to know you are interested.